She may not be the singer she once was but Whitney Houston is still a superstar. From the moment she took to the stage in the first of her 3 sell out shows at Dublin’s O2 arena, the audience were willing her to succeed and seemed literally in the palm of her hand. 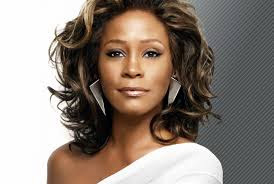 Sure she was coasting a little at times and yes her upper range is not what it used to be BUT Whitney Houston’s voice is still one of the best in the world. Her recent material from the double platinum CD ‘I look to you’ is strong and contemporary with impressive production and has produced 3 major hits alone in the past 12 months. Whitney Houston has been written off before, her spectacular 1990s comeback album My Love is Your Love was initially a slow seller and took off only when MTV got behind the hit track ‘Its not right but its ok‘. Eventually the critics were falling over themselves to praise it as innovative, original and a masterpiece. Commercial success has always come relatively easy for her but music critics just as they do with her main contemporary Celine Dion, rarely praise her recording work for fear they might be outed as closet pop diva fans. She and Dion have the two best female voices in modern pop music and have between them sold over a third of a billon records, yet critics prefer to muse about obscure and often irrelevant artists rather than praise the work of these widely popular stars. Her tour thus far has received some awful reviews. Some of the criticism is deserved. She does leave the stage in the middle of her set, she does talk too much, on occasion she seems temporarily lost in her own thoughts, yet if her Dublin show is a reflection of the tour in general then these bad reviews are exaggerated, unfair and misleading. At times during the concert there are moments of vocal brilliance such as her Gospel set or her 20-minute long segment showcasing her early pop hits. If an artist in her late 40s with a success rate like hers cannot take artistic licence with a note or two without having the media in overdrive predicting her demise then we truly are living in a very sad and intolerant world. Whitney Houston always gave slightly erratic live performances. Her 1990 Barcelona concert televised by Sky was full of the same overlong pauses, talking with audience members and long disappearances for costume changes etc. In essence the current tour is Whitney as she always was just a little edgier and if anything better than before. It is certainly not a performance by an artist in decline. Whitney Houston has literally been to hell and back in recent years and judging by the occasional high points during her Dublin show, she still posesses elements of her past vocal genius and a presence that if anything is more intense and more authentic than her younger pop princess persona. In the tradition of many black female artists who came before her, Whitney has suffered at the hands of abusive men and unscrupulous music business sharks. Luckily for her, her mentor and friend the legendary music mogul, Clive Davis, was always there to pick her up when she fell. Despite his own advanced years, he is still very much involved with her career and recent comeback. He oversaw the recording of the current album, selecting the songs and producers. The result 'I Look to You' is another pop gem which to date has sold over 3 million copies worldwide. There are many who would like to write her career obituary but Whitney Houston has so far defied the odds. Her fans like those of all true superstars adore her and are loyal to a fault. If this show had been a disaster then I would be honest and say so but instead what I witnessed was an intense, exhilarating, occasionally flawed but always entertaining concert by a true legend of pop music culture. She may have failed to hit the occasional high note but in many ways the current Whitney is more interesting than the previous one. She has made mistakes and lived to regret them but her music is stronger for it and her lyrics sound more authentic and effective. Her closing song Million-Dollar Bill showed a woman who still has something interesting to give to the music world. It may be a tad early to write off Ms. Whitney Houston just yet. She is beginning as her new CD suggests to ‘know her own strength’ and maybe her past problems were caused by an innate shyness and lack of self-confidence which time has helped to mellow somewhat. Watch out world, Whitney the million dollar girl is BACK.